What is the “Messianic Movement”? In just another two days, we will be celebrating the Feast of Hanukkah, “the feast of lights” (beginning the evening of December 2 – 10). Most erroneously believe that Hanukkah is just a “Jewish thing,” and that it has nothing to do with Christians. But from the New Testament, we discover that as a Jew, Jesus also celebrated Hanukkah, “the feast of dedication” (John 10:22-23). The meaning of Hanukkah was changed from “the feast of dedication” to “the feast of lights” after the destruction of Jerusalem and the Temple in 70 A.D. There was a reason for this change, which I will discuss later in the series, but I want to take it back to its original meaning. My motive for doing this is not to make people “Jewish,” but it’s a study I did out of my love for Jesus. I believe when you love someone, you want to know everything you can about that person, and this was a part of His life. Therefore, out of my love for Him and my commitment to being His disciple, and to walk in all of His ways, I would like to present this 4-part study series on Hanukkah: the Bible’s prophecy concerning it and their historical fulfillment, what I believe it meant to Jesus, how Hanukkah is celebrated today, and the Gospel message that I see within the feast of Hanukkah. This is the first part of that four-part study. I would like to begin by looking at the Bible’s prophecy concerning Hanukkah and its historical fulfillment. These prophecies are found in the book of Daniel, while Daniel and his people, the Jews, were still in exile in the land of Babylon. In Daniel 2, God gives Nebuchadnezzar, the king of Babylon, a dream regarding the kingdoms that would come after him, in the form of a statue of a man made from various metals. These kingdoms are Babylon [the head of gold], the Medes & Persians [the chest and arms of silver], Greece [belly and thighs], Rome [two legs], and a future end-time global empire [feet of iron and clay]. As we can see, as we move down the statue, we not only move forward in time from the time of Nebuchadnezzar, but the quality of the metals go down as well. In Daniel 7, Daniel likewise has a dream regarding the same empires, but in Daniel’s dream, they appear not as a statue of a man, but as wild beasts: Babylon [a LION with eagle’s wings], the Medes & Persians [a BEAR raised up on one side with three ribs in its mouth], Greece [a four-headed LEOPARD with wings], and Rome [a dreadful and terrifying beast with iron teeth]. However, after the fourth beast, it mentions, not a fifth beast but “another horn,” who had “the eyes of a man and a mouth uttering great boasts” and who pulled out “three horns” (Daniel 7:8). Note these three beasts are the same exact three beasts [out of four] as mentioned in Daniel’s vision. So just as each “beast” in Daniel 7 represents a kingdom that was led by a man, so this final “beast” in Revelation 13 will be a conglomeration of these previous three kingdoms that will likewise be led by a man. SO WHY THE DIFFERENCE IN DREAMS? Then Daniel heard a voice in his vision ask, how long would this be allowed to happen, and the response was 2,300 evenings and mornings, and “then the holy place will be properly restored” (Daniel 8:14). This prophecy of the “little horn” regards Antiochus Epiphanes and the events that the feast of Hanukkah commemorates. The historical account of the war between Israel and the Seleucid Greeks is found in the book of I Maccabees. Although this book is in the Catholic Bible, it is not in the Hebrew Bible [Heb. Tanakh] or in the Protestant Christian Old Testament. So for the convenience of readers who are not familiar with the account, I have provided the following summary. Approximately 148 years after the death of Alexander the Great is when the historical events that Hanukkah commemorates occurred. It begins when Antiochus IV, “a sinful shoot,” became ruler of the Seleucid Greek dynasty in 175 B.C., a region which included Israel (I Maccabees 1:10-11). Afterward, there were some Jews who saw financial advantages to adopting a Hellenistic (or Greek) lifestyle, and so they abandoned God and His Torah (lit. “Teachings, Guidance, Instructions or Directives”). It’s hard for me to imagine someone giving up intimacy with God for money and financial success, yet that is what this group of men did. Notice that those who gave up the ways of God and His “holy covenant” are called “wicked men.” If this is what these men are called in the 2nd century, B.C., then won’t God call likewise Christians and ministers who forsake the truth of Scripture, including His ways and commandments, for money and financial success today? After winning a battle against Egypt in 170 B.C., Antiochus turns his sights on Israel, particularly Jerusalem. He plundered the city and the Temple, taking the holy items and the Temple treasures, “leaving the place a shambles” (I Maccabees 1:21-24). And then two years later, he took the women and children as slaves, stole their cattle, and then burned the city (I Maccabees 1:32-33). Antiochus then issued a proclamation [law] that everyone was to adopt a Greek lifestyle, including the worship of the Greek gods [as well as himself as a god] (I Maccabees 1:41). Due to his own “god complex,” he ascribed to himself the name “Epiphanes” (“god manifest”). All Torah study and observance, including the following of the dietary laws and circumcision of boys at eight days old. Instead of obeying God and His Torah [God’s instructions and commandments], they were to worship the Greek gods, eat unclean food, and sacrifice pigs on the altar. Anyone found worshiping the God of Israel or keeping the Torah, or practicing any of its teachings, would be killed (I Maccabees 1:46-52). On the 15th day of the Hebrew month of Chislev [about mid-to-late November to mid-to-late December] in 167 B.C., the statue of Zeus was erected above the altar, as well as other altars to him around the surrounding towns of Judah (I Maccabees 1:57-58). In addition, any copies of the Torah that were found by the Greek soldiers were torn up and burned (I Maccabees 1:59). Also, any woman who was found to have circumcised her baby boy was killed, along with her male infant, in accordance to the edict, and her dead baby was hung around her neck. Also, any other member of the household who participated, along with the one who circumcised the infant, were killed as well (I Maccabees 1:60-61). Although the persecution was intense, there were many who remained faithful to the God of Israel and His Torah; many chose to die rather than to profane God’s “holy covenant” (I Maccabees 1:62-63). Unfortunately, though, there were also some who did not remain faithful but chose to abandon God and His Torah, rather than endure any further persecution. They adopted the Greek lifestyle and began worshipping the various Greek gods. Upon completing this statement, a Jew was going to betray God by offering a pig on the altar, but Mattathias killed the man and began a rebellion, killing as well the king’s men who were also there. Then he ran through the town, rallying the people to join him in their fight against the Greeks. They then took refuge in the hills (I Maccabees 2:25-28). After a year of fighting, Mattathias died in 167 B.C., but before he did, he placed his son Judah in charge of the war against the pagans (I Maccabees 2:66). Judah was nicknamed “Maccabees” (“hammer”) because of how he “hammered” at the enemy in battle. Eventually, after two more years, Judah and his troop won their battle against the Greeks. After a time of mourning, Judah selected priests who were faithful to God and blameless in their observance of the Torah to clean and purify the Temple, to remove the stones that had been used to construct the altar to Zeus, as well as the stones of the Temple altar that had been profaned by the blood of the pig that the Seleucid Greeks had offered on it (I Maccabees 4:42-45). WHAT DO WE DO WITH THESE STONES? Judah and his men were not sure what to do with the Temple altar stones once they had been removed, so they took them outside the Temple and set them in “a suitable place on the Temple hill to await the appearance of [the] prophet [i.e., the Messiah] who should give a ruling about them” (I Maccabees 4:46). Once the stones had been removed, they selected rocks that were naturally cut by the weather and sand, and built a new altar where the old one had once stood (I Maccabees 4:47). They cleaned the Temple, replaced the vessels and items that had been stolen, and set up the items in the Temple as God had instructed in the Torah (I Maccabees 4:47-51). Then on the 25th day of Chislev (which occurs from mid-November to mid-December), in the year 165 B.C., they re-dedicated the Temple back to God and to His service. They “made it a law that the days of dedication of the altar should be an annual celebration for eight days beginning on the 25th day of Chislev with ‘rejoicing and gladness’” (I Maccabees 4:52-61). Indeed, God did keep His prophetic word. The “little horn” did rise to great power and for a time did gain power over the “land of Splendor” [Israel], but his time came to an end, and the Temple was, indeed, properly restored, as God promised. The freedom to worship and honor the God of Abraham, Isaac, and Jacob by obeying His Torah from our hearts is something that must be fought for continually since today we see that freedom being slowly taken away from us. So during this Hanukkah season, let us strive to remember the faithfulness of our God and to hold on to the freedom that God has given to us to worship Him and to walk in all of His ways. Previous Post“GOD IS HOLY, HOLY, HOLY:” BUT WHAT DOES THAT MEAN?Next PostDoes God Oppose the Celebration of Christmas? GOD GIVES US FREEWILL, CHOOSE WELL YOUR LIFE DEPENDS ON IT. The whole Bible for the whole person for all time. What is a “Whole Bible” Ministry? 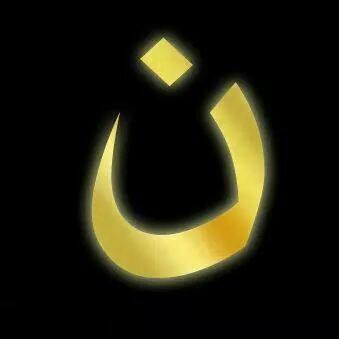 Pray for our brothers and sisters in the faith who are being persecuted in the world today. This is the website for Following Messiah, which discusses our ministry, our teachings, and our adventures in following the Messiah Yeshua/Jesus in our day-to-day lives.